Little Toddler Dolls | Barbie Who? I am very excited! I went to the local thrift store and had a great find. For the mere price of $0.25 each, I bought three Kelly-sized doll! One of them, the blonde, is a Kelly doll. The other two are not made my Mattel, but they are the same size as Kelly. I am ecstatic to find these cute little toddler dolls! Not only was it a great price, but they are in great condition. My only complaint is the lack of clothes on two of the dolls and my lack of clothes to put on them. I have a weird pet peeve where it bothers me to have naked dolls. It bothers me even more to have a picture of them like the on this blog, but I am too excited about showing you to fix it by crocheting something for them to wear. 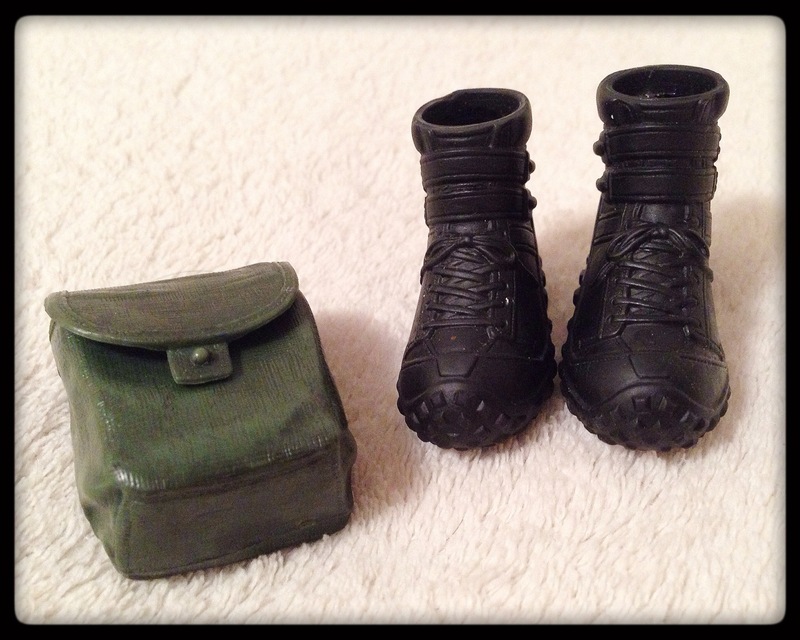 Hopefully I can make some time to clothe them later on (perhaps in some WWII-style civvies?). I also found this cool guy! He is a fairy of some sort. 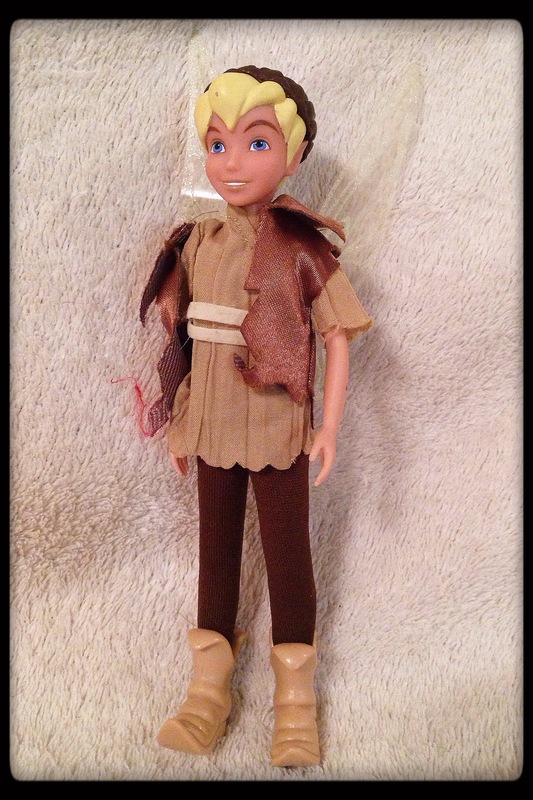 I think he might belong to something Tinker Bell related because I vaguely remember a fairy that looks like him in that fairy pirate movie I watch just because it had a character voiced by Tom Hiddleston. Yep, I am such a hopeless fan girl that I watched a kiddy movie without my kid because of his voice. Anyways…. 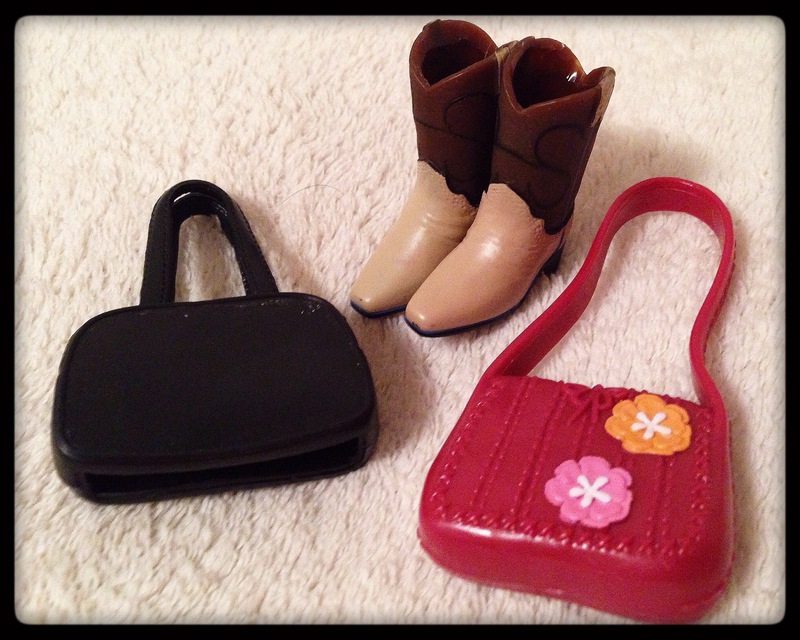 In addition that that, I found some purses and shoes. It is always exciting to find accessories in good condition. I found a pair of lady’s boots, some men’s shoes, and three hard-plastic bags. I’m not sure what they will be for just yet. I’m sure they’ll sit in the box of random accessories until they are needed for pictures or play. It never hurts to have something like them as cool little details that won’t take me an evening (or ten) to create. Up next, I am working on an adipose. I have made some larger ones before, but crochet on this tiny level has proved quite challenging. It is also challenging to keep my hands 5000% clean so that I don’t discolor the white string I am using for this endeavor. Keep your eyes peeled for the update with that! I want to make two or three, but I might stop at one if it takes too long to produce.